SITBEST Power-Swivel Recliners provide ultimate comfort. We have several in stock on our showroom floor that are ready to move and clearance priced. The "Tinden", a 3-way Prower Swivel Recliner was on our floor at $2899, and is now on clearance for $2399. 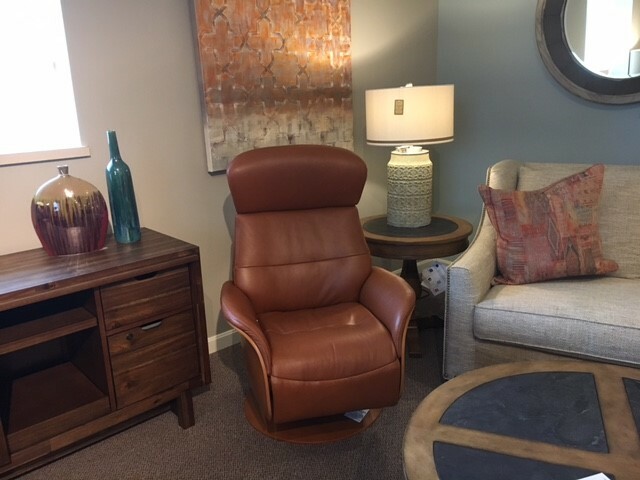 The "Bispen" Power Swivel-3 way Recliner, is done in a black leather with a French Cherry base. It was on our floor for $2149, and is now clearance priced at $1799. 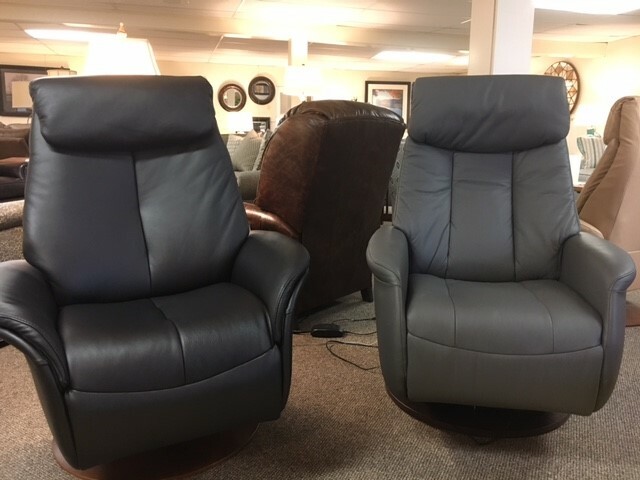 The "Slogen", a gray leather 3 way Power Recliner was $2199 and now clearance priced at $1599. The "Slogen" is also on our floor in a 2 seat Power Wallsaver Sofa, floor priced at $2999, and now on clearance for $2399. There are additional models on our floor with similar savings!